Parquet is a type of wood flooring made by arranging small slats of wood in distinct, repeating patterns. While traditional parquet floors were installed one piece at a time, most modern parquet comes in tile form in which the wood slats are bonded to a backing material. Parquet tile flooring is installed by gluing, nailing, or stapling the tiles to the subfloor. Because the parquet strips are hardwood, parquet flooring is similar in look and performance to traditional solid-hardwood strip flooring. Parquet tiles come in a few common sizes: 9 by 9, 12 by 12, and 19 by 19 inches. The total thickness of tiles typically ranges from 5/16 inch to 3/4 inch. Parquet tiles usually include a mesh backing of paper, cloth, or plastic stitched with a thin metal or plastic skeleton. The hardwood top layer is most commonly oak but may also be maple, walnut, and other popular hardwood species. In its natural unfinished state, parquet is prone to staining and damage and must be finished to protect its hardwood surface. Unfinished tiles are sanded, stained, and finished on site after the flooring is installed. This allows you to choose the color of stain or any type of finish you like, giving you a wealth of decorative options. Prefinished parquet tiles are treated with an extremely durable, factory-applied wood finish. Because this is done industrially, the finish can be significantly more durable than one applied on-site. This also cuts down on the hassle and mess of applying a finish in your home. 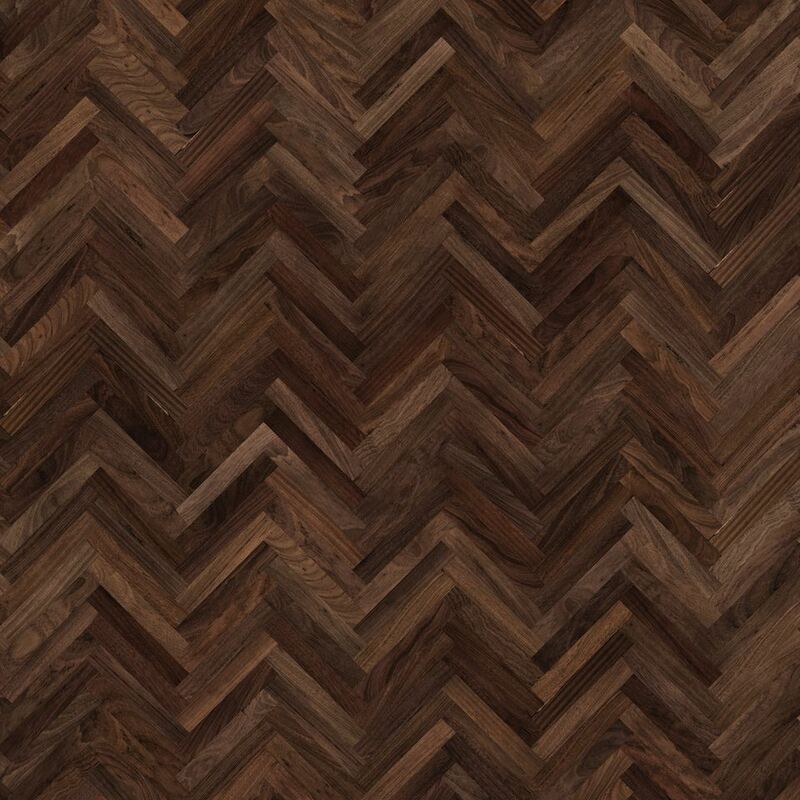 Parquet flooring is one of the most elegant and decorative flooring options available, making it a popular choice for formal settings such as living rooms, dining rooms, and foyers. However, while the elegant precision and visual interest of parquet flooring is a benefit in formal locations, it can be a drawback in other areas. For example, the geometric patterns of parquet can be far too busy for kitchens and bathrooms, which are relatively small and already have a lot going on visually. This highly decorative flooring can also overwhelm small spaces bedrooms, lending a cluttered feel. Parquet flooring is slightly better in moist environments than standard hardwood planks. This is because the individual slats in the tiles are less prone to expansion and contraction due to humidity changes. However, parquet is still predominantly made of wood, and so it will warp, mold, and plump in extremely wet, moist environments, such as heavily used bathrooms. Parquet is essentially made of hardwood and therefore can be sanded and refinished. Some parquet tiles can be refinished roughly an equal number of times as hardwood plank flooring of similar thickness. However, parquet floors are not quite as easy to refinish as regular hardwood planking is because the grain of the material is not oriented in a consistent direction. Rather, the tiny slats of wood may be pointed in several different directions. This can lead to cross-grain scratching, which can be difficult to buff out. You may even need to resort to hand sanding in certain places to get the surface looking smooth. Are Gaps In Engineered Wood Flooring Normal?